You Want More Than Style, Don’t You? There is a difference between Brazilian hammocks and Brazilian-“style” hammocks. The rise in the popularity of the Brazil hammock isn’t a surprise. Both the backyard and lightweight camping crowds have caught on to the impressive functionality of the hammocks — they are sturdier than more “traditional” spreader bar hammocks, making them more comfortable and providing healthier sleep, and they fold and pack easily for travel. Not all of these “Brazilian” hammocks are truly from Brazil, however. 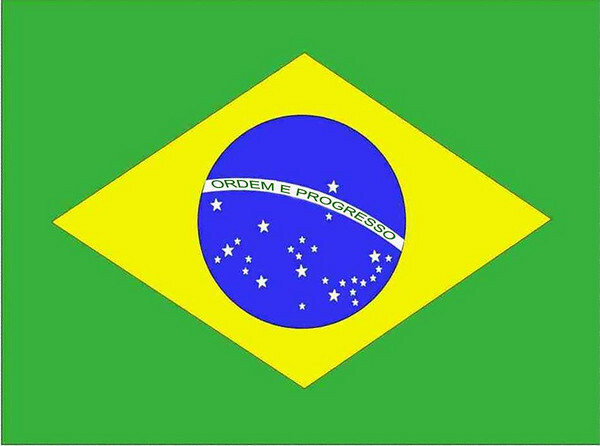 Unfortunately, the “Brazilian” tag has become something of a buzzword in the industry. 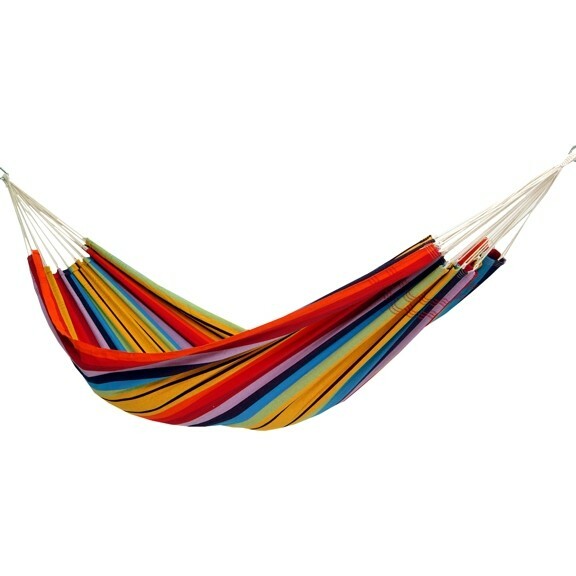 It’s begun being used for any hammock that doesn’t come with a spreader bar, though buyer beware: Just because said hammock doesn’t have a spreader bar doesn’t mean it’s from “Brazil.” Likewise, having a spreader doesn’t automatically suggest a hammock isn’t from Brazil, either. 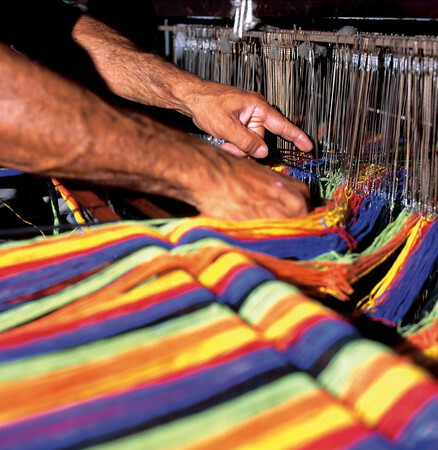 At Byer of Maine, we enjoy a wonderful tradition of truly Brazilian hammocks — rich, colorful cotton woven by hand. In Brazil. 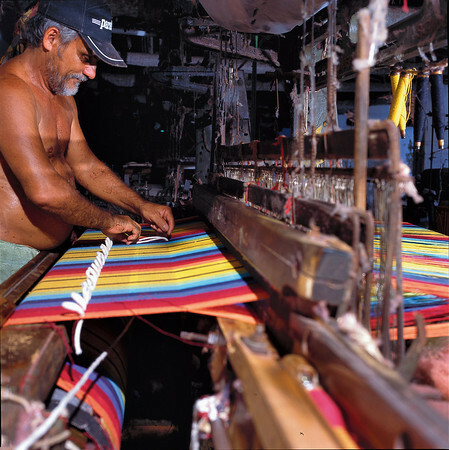 In fact, a number the hammocks in our Amazonas line — the Barbados, the Paradiso, the Palacio and the Gigante — are all crafted in Brazil in the tried and true traditions of the region. Not only are these hammocks handmade in the country that perhaps knows the hammock better than any other in the world, but they are crafted from authentic recycled fibers. The bright, color-drenched cotton sings of a summer day in a tropical paradise. The comfortable fabric feels as familiar as your favorite jeans and flip-flops. The careful weave is tight enough for support and durability, while just loose enough to let a refreshing breeze pass through. The hammocks are intended to be used on the go — and they pack, assemble and hang easily. Beachside respites. The shade of a large tree, the perfect spot for a book and a cold drink. Rejuvenating sleep. They are simple, care-free and luxurious. In short, our Brazilian hammocks are everything we imagine an afternoon on a beach in Brazil to be. Of course they are. They’re Brazilian hammocks, and they’re the real deal. This entry was posted in Hammocks and tagged Amazonas, Barbados, Brazil, Brazilian, Byer, Byer of Maine, Hammock, How To Hang A Hammock by beckybyer. Bookmark the permalink. Hello, found this page randomly. Where can I see your hammocks for sale? Or if you don’t offer hammocks for sale, any other websites you may know that sells good Brazilian hammocks? I only found http://hammockdream.com so far, any other suggestion?